Cobra (HD) HDLE Anilox Transfer Technology has been specifically developed to assist printers obtain higher print quality, improved definition, and take full advantage of the latest CTP, HD. NX Flat-Top Dot plate techniques, without having to change their plates, simply enhance print coverage and quality. This advanced high definition anilox transfer technology has fundamentally been designed using an advanced open cell technology; we refer to as Cobra due to its snake like shape & configuration which allows for high density coverage while still accommodating finer screen printing. Our latest open cell transfer technology has been strategically refined and developed using a combination of advanced high definition laser engraving techniques – MBA (Multi Beam Anilox), MAD (Micro Anilox Displacement), Custom Cell (Cell Design Software) – into our new aged Black Pearl ceramic coating which is robotically applied, ensuring optimum quality. Printers can now however, select improved volume ranges without the need for plate screen changes. The uniqueness of this open cell shape allows for ink to be transferred more fluently, dramatically improving the amount of ink transferred to the cliché & substrate, visibly improving the density, opacity and overall print quality, while also offering very easy to clean cell technology due to its open cell configuration & structure meaning longer lifespan. 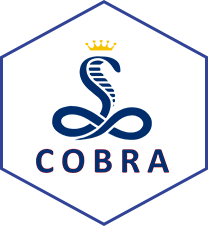 High Performance Cobra (HD) AVM Cell Tech. New generation robotically applied high density, low porosity ceramic coating technology. Easy to maintain and clean cell technology, due to open cell configuration. Extended Doctor Blade lifespan, due to open slalom cell movement when running; this also dramatically reduces score line damage.